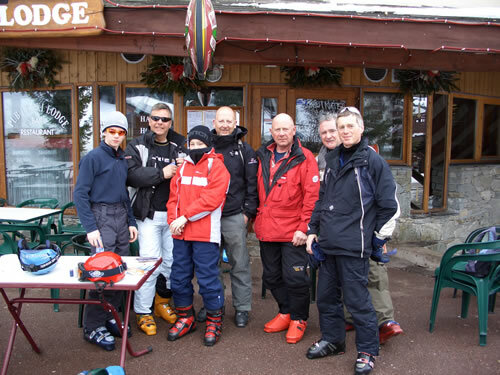 Three Valleys Escapade - The Hardest Days Skiing Ever? 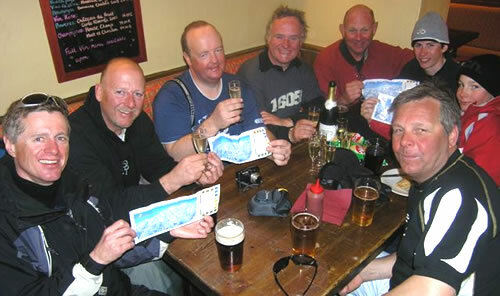 The Three Valleys Escapade is run by the lift companies and consists of 14 check points spread across the Three Valleys where you get a card stamped (with a different pattern hole punch). You collect all the stamps and receive a free certificate and for 7€ a badge too (although we didn't get charged at the 1850 lift company office and note that you can't get the certificate from the La Tania ticket office). 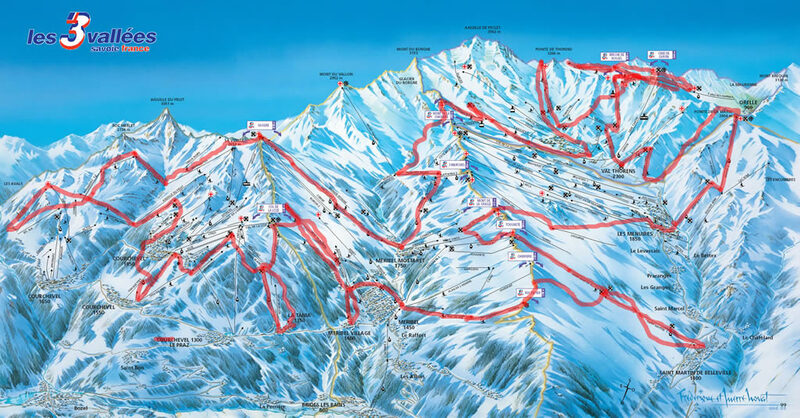 From 2008 they just analysed the lifts you've traveled on from your ski pass ID but the whole thing was dropped in 2018 - we're still doing it though and it's a bit harder too! The idea was that you do this over your week's holiday - but we thought maybe it could be done in a day... So 08:30 Ski Lodge registration, 10€ entrance fee and off for the first lift at 09:00. Thanks to Nick at Nick Ski for his work on the most efficient route around the check points (unless you know better of course). All who do it are captured here - it is a full on day, not for those who do lunch!